Appropriate cone use... The real issue is the stair. You see this all over Tokyo. You figure they would have design a better stair that people won't so obviously trip over. How many poor souls walked between these poles before someone stepped in with a cone. On behalf of the people of Jiyugaoka - Thank You! I love this building in Shinjuku. It is so well designed. When you live in a place as crowded as Tokyo you need to take advantage of every space... This is actually bigger than a lot of parking spaces in Tokyo. I love going back and visiting the snippits of my life that can be found in Instagram Stream. Each image tells a story of a point in my day, week or month that my blog does not or at least not in the same way. I love micro blogging of life. I launched an Instagram Photo Contest on my Facebook Page. 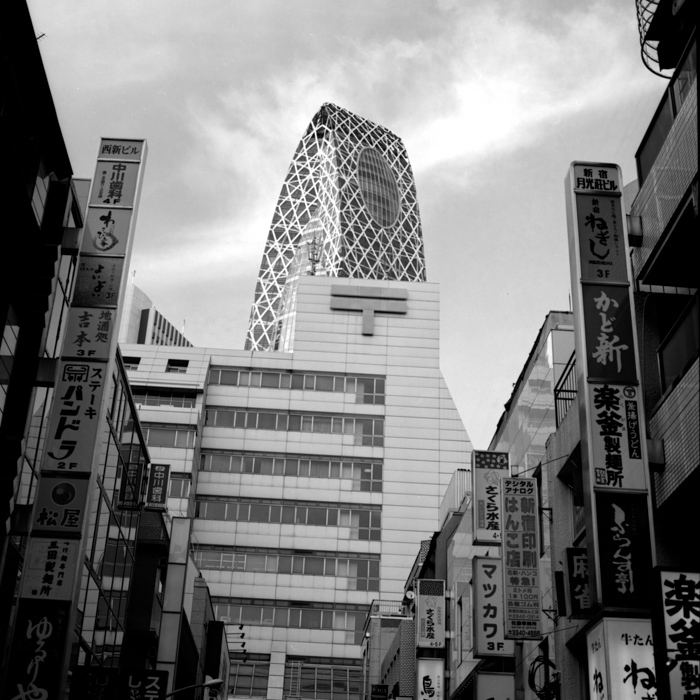 Upload an image from Instagram, tag it with #shoottokyo and tell me YOUR story. The photographer with the image with the most votes wins a print from my Portfolio Print Shop. How cool is that?